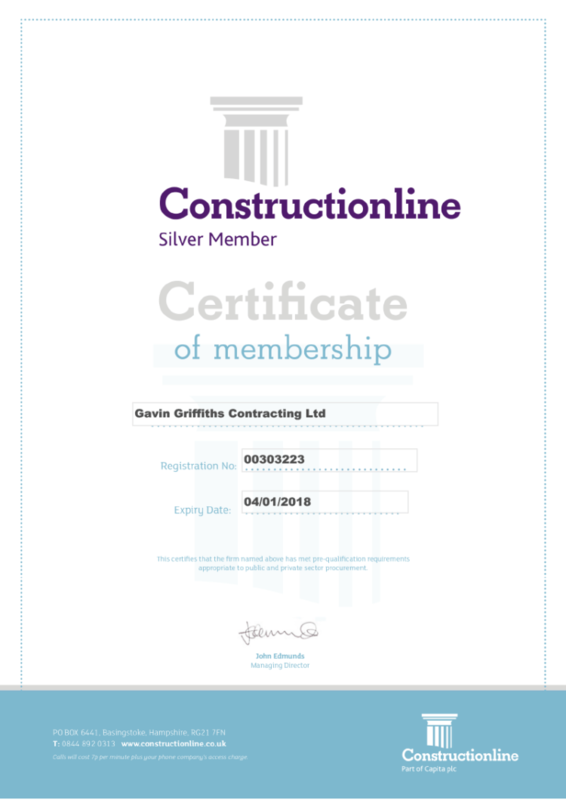 Gavin Griffiths Contracting has achieved Constructionline accreditation. Constructionline is a register for pre-qualified contractors and consultants used by the construction industry of the UK. The database contains details for over 23000 companies and is accessed by over 2000 organisations. Membership of Constructionline demonstrates that we have been assessed to the current government and industry standards, including PAS 91:2013.